Benefit said it's their biggest innovation in history. After 5 years of development, the Benefit They're Real Push Up Liner (CA $29 / US $24) is finally launching globally this Friday on June 27, 2014! I was fortunate to have previewed and tried the product before its release. 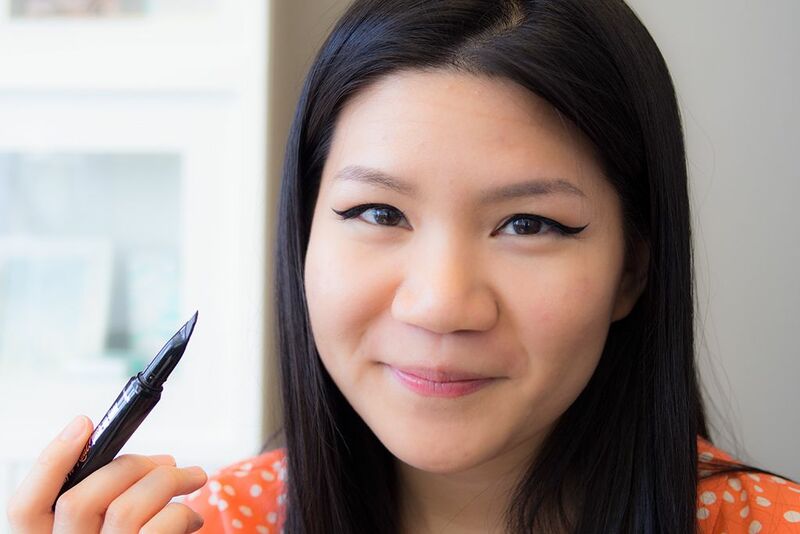 It is probably the most unique eyeliner I have ever used. 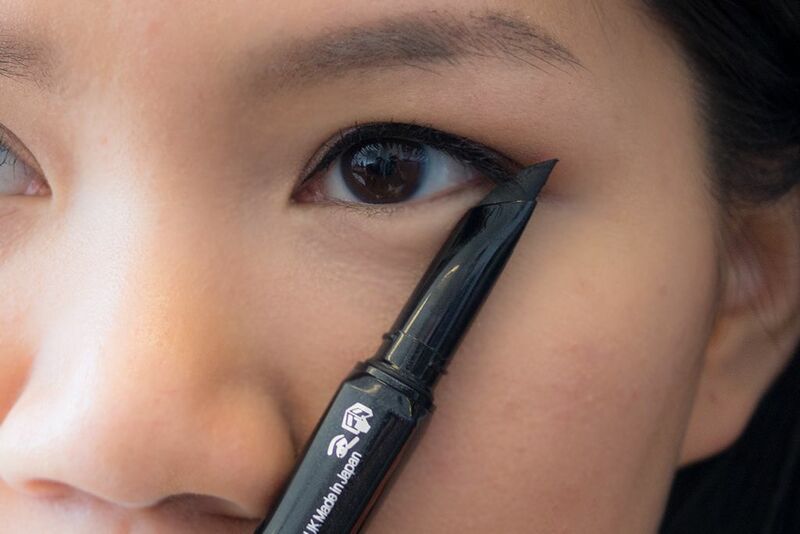 Believe me when I say I have tried a lot of liners, but never have I ever seen an applicator like Benefit's patented Accuflex tip. 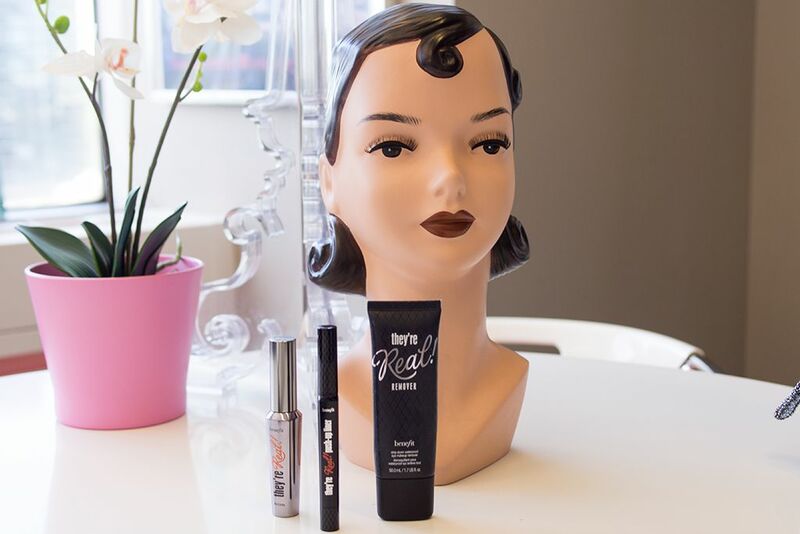 The gel formula comes out from within the applicator with just a few twists. The flexible tip is designed to be lash hugging, which allows you to get as close to your lash line as possible. It also gives great control that you can get the line as thin as your like or as thick as you like. 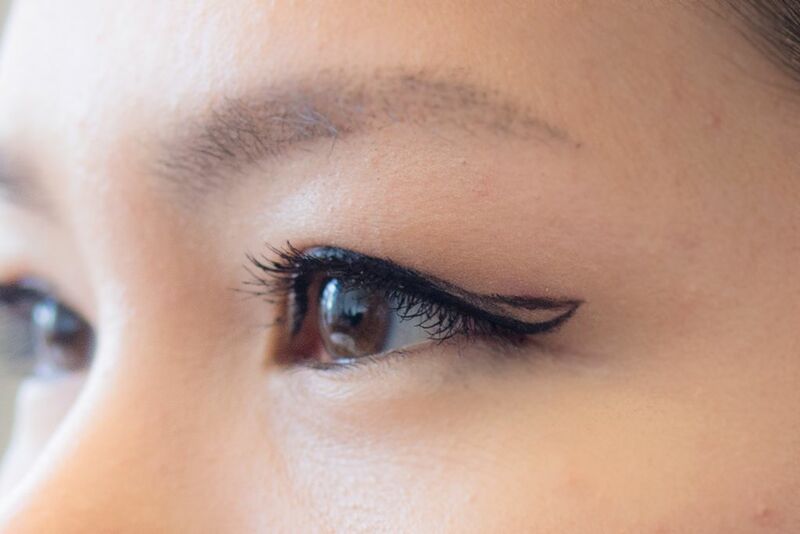 The formula in this liner is phenomenal. 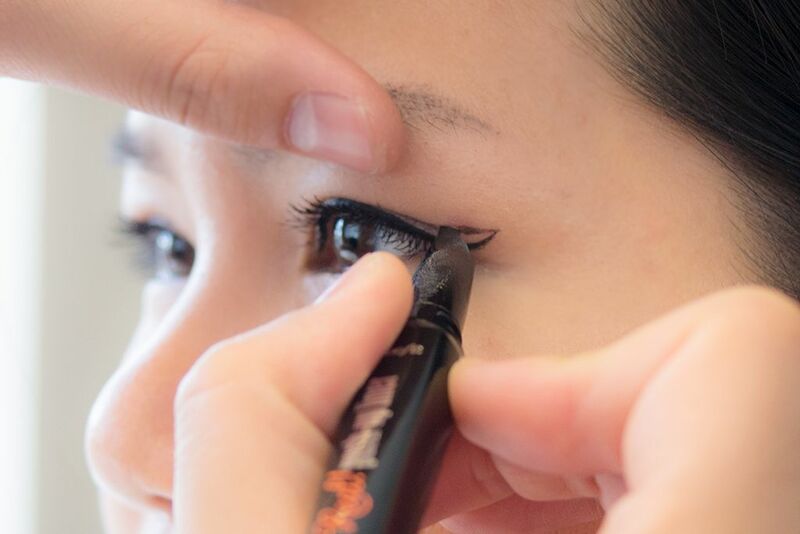 It's smooth, creamy, and pigmented, which are basically what you would want from a gel liner. The staying power is out of this world. It stays put all day (even on the waterline) and it doesn't smudge. To take it all off, I would use the They're Real! Remover (CA $22), which has now become my holy grail eye makeup remover. 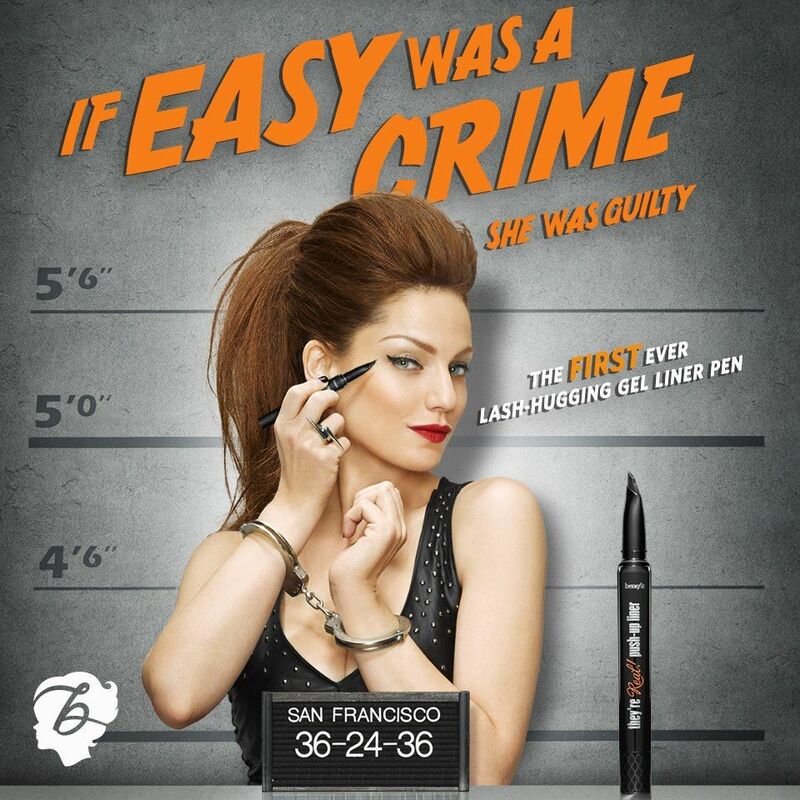 When Benefit comes up with the concept of They're Real Push Up Liner, they want to create something that is fool proof and easy to use. That woman can apply it in seconds. I find that it is very easy to get a one stroke liner. 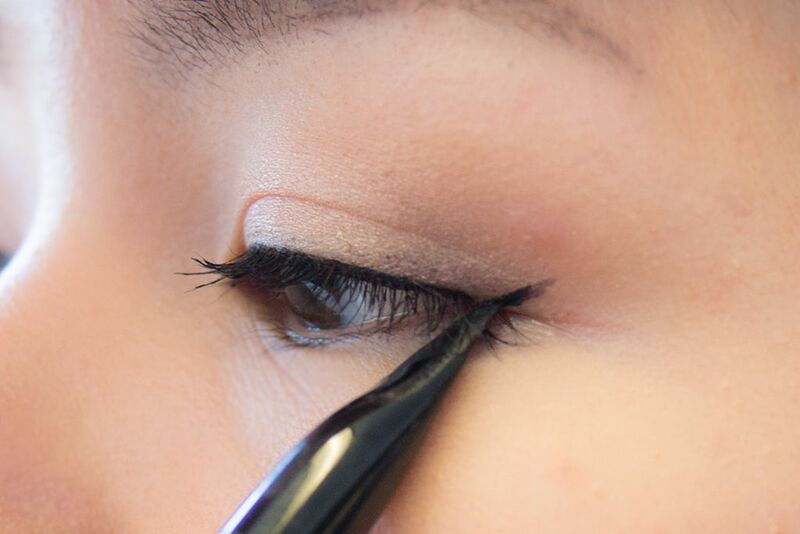 The trick is not to drag or push too hard, and to also ensure that there is enough product on the tip to apply. That way you will get a smoother and quicker application. That being said, also be aware not to twist up too much; but if you do, not to fear, you can just wipe the excess product on the back of your hand and dip it when you need it. 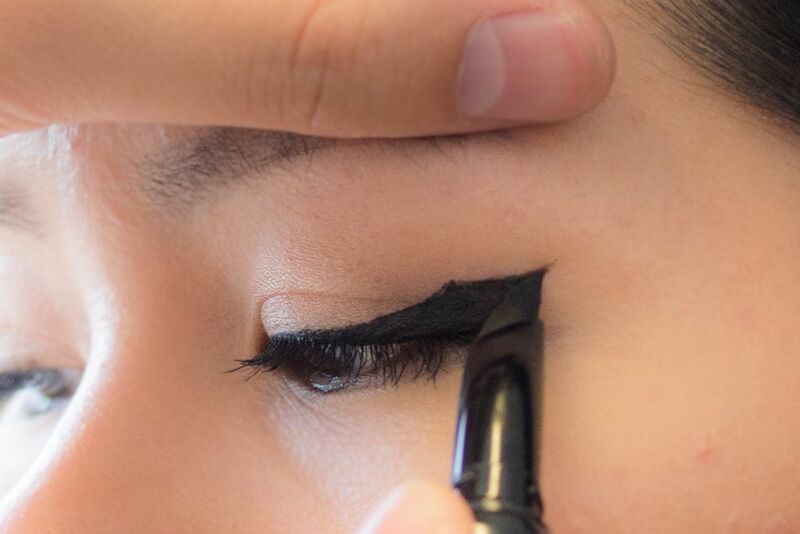 I can do a regular winged liner, no problem, and with this, it just makes getting ready in the morning so much more faster. 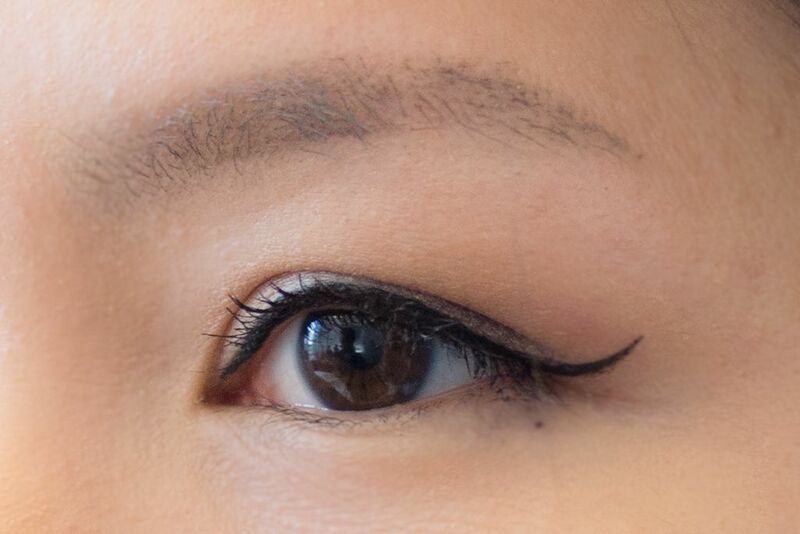 However, the regular winged liner doesn't necessarily look good on my eyes with my eye shape. 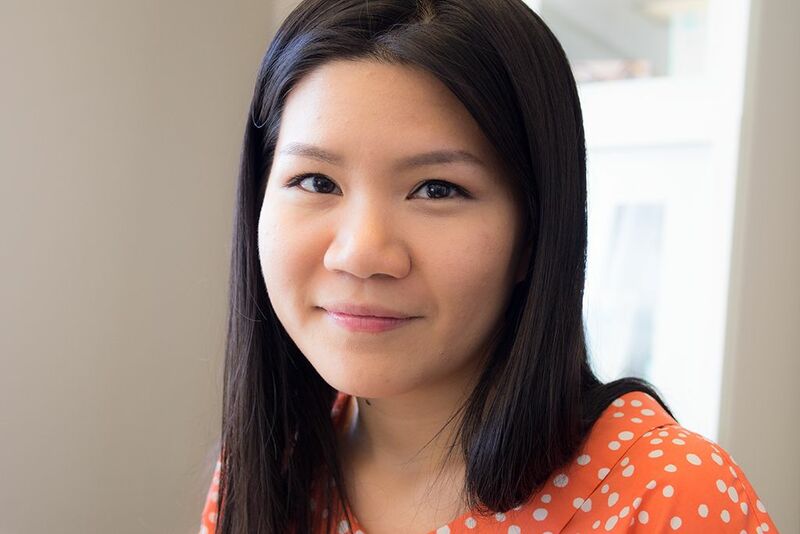 I got a chance to sit down with Benefit Canada Regional Education Manager Maddox Lu (@maddox_thinks) to pick his brain and get some tips on how to apply this liner on my hooded/folded eye lids. 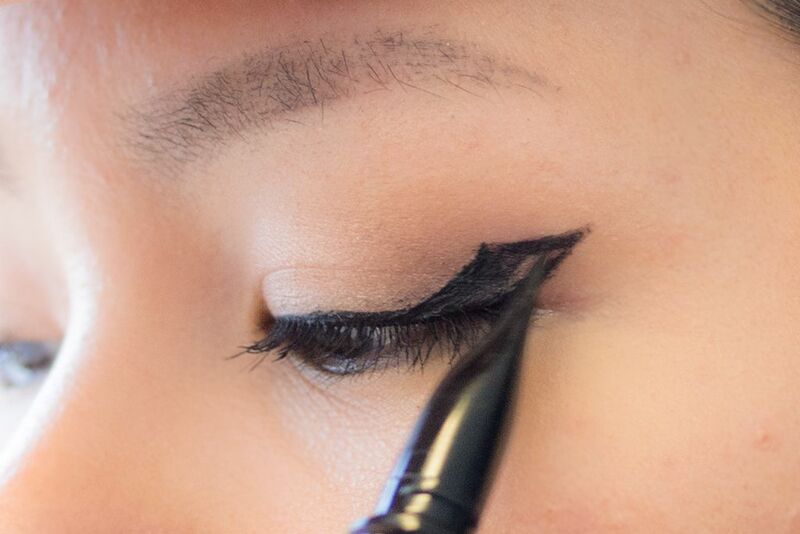 Step 1: Draw a thin line like you would normal do from the outer corner to the inner corner because we want a thicker line in the outer corner. 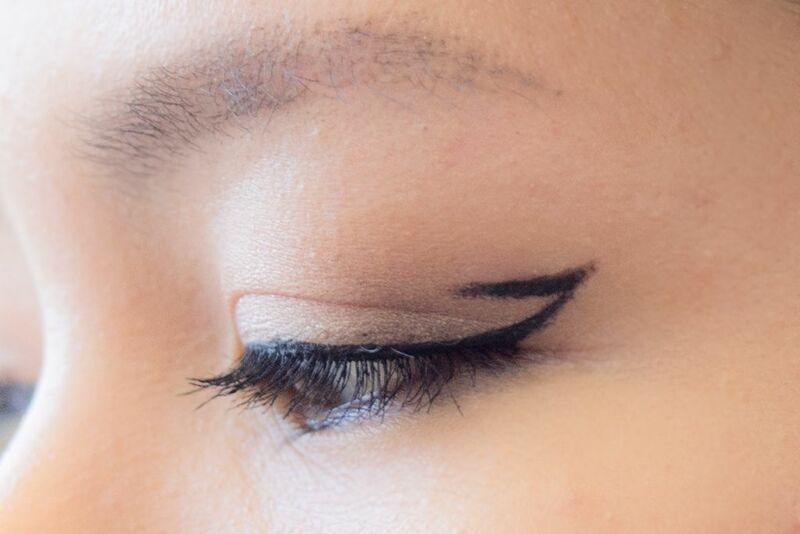 Step 2: Align your eyeliner from the corner of your nose to the outer corner of your eyes to find the ideal angle. Then, create a wing by pressing the Accuflex Tip down on your lid. 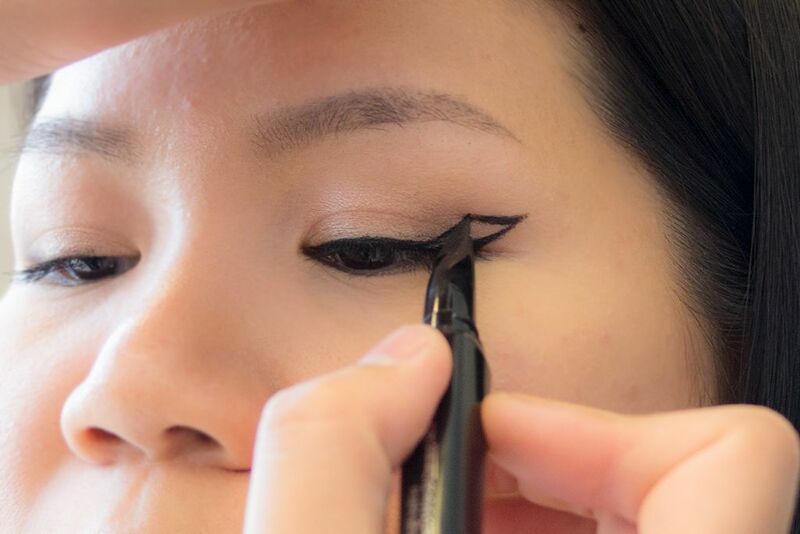 Step 3: Fill in the wing. And when you open your eyes, you would see a broken line because of the shape of your eyelid. Step 4: Stare straight into your mirror. Take the wing and connect straight across from wing to your crease, just a small line. Step 5: Look down and connect downward from the end of the new line you just create. Step 6: Fill in the line and you're done! Maddox gave me a lesson on this technique and demonstrated on my left eye. I then tried it out on my right eye and got the same result too. It might take once or twice to get used to but it's definitely a brilliant technique. 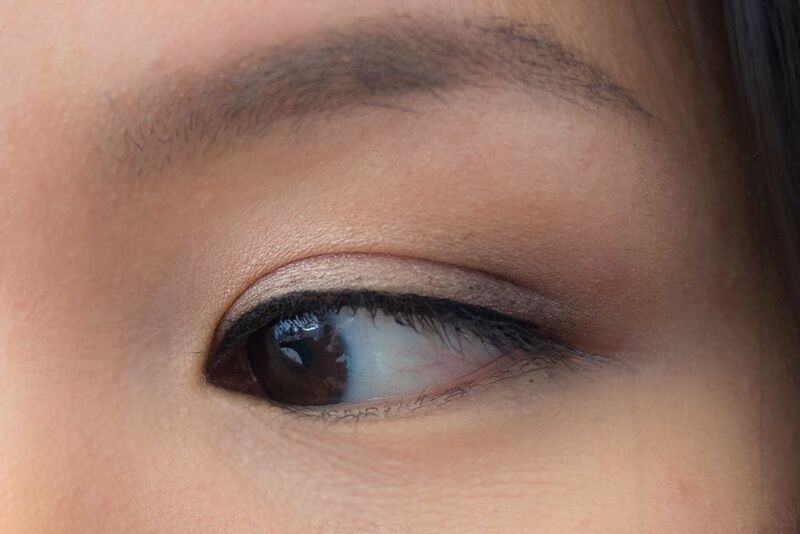 This technique is not only great for hooded eyes, but also "droopy eyes" and "Asian eyes" (most of us tend to have a fold on our lid, myself included). It will work well too if the corner of your eyes points downward. Okay, sounds like I need it, now what? 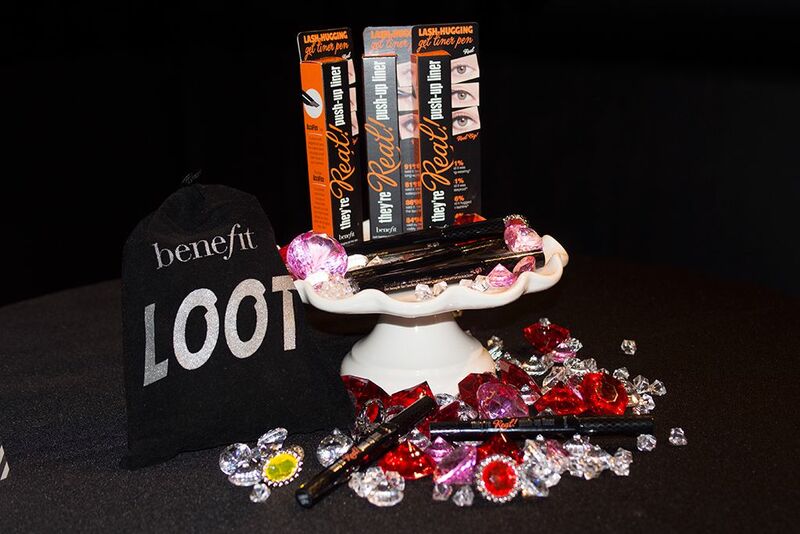 Well, the Benefit They're Real Push Up Liner is launching this Friday on June 27, 2014 worldwide and they are hosting launch parties across Canada (check their Facebook page to see if it's coming to your Sephora). In Toronto, it will be held at the Sephora inside Toronto Eaton Centre. 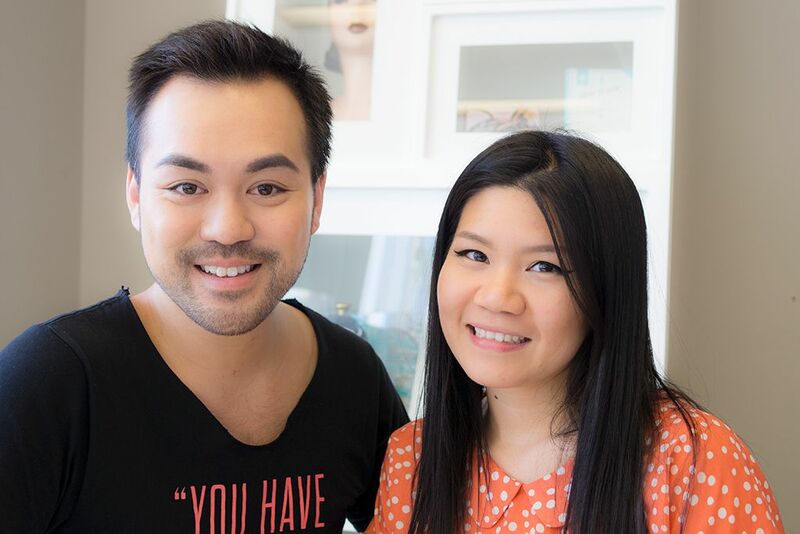 Benebabes will be in store to help you with your liner on both Friday and Saturday (June 27-28, 2014) from 11AM to 9PM. Guests will get a special gift if they purchase their They're Real Push Up Liner on those two dates (while supplies last). If you're planning to go, a little bird told me there's a special secret happening between 3:30PM to 4:00PM. If you're around, don't miss it! I love this time of the year. The Sun is out. There is a nice breeze and it's not too hot. It's also time for a eventful season with Toronto. 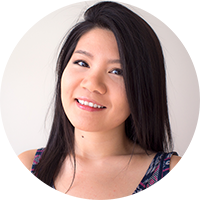 One of the biggest is the Luminato Festival that happens every year around downtown Toronto feature art, music, film, theatre, etc. 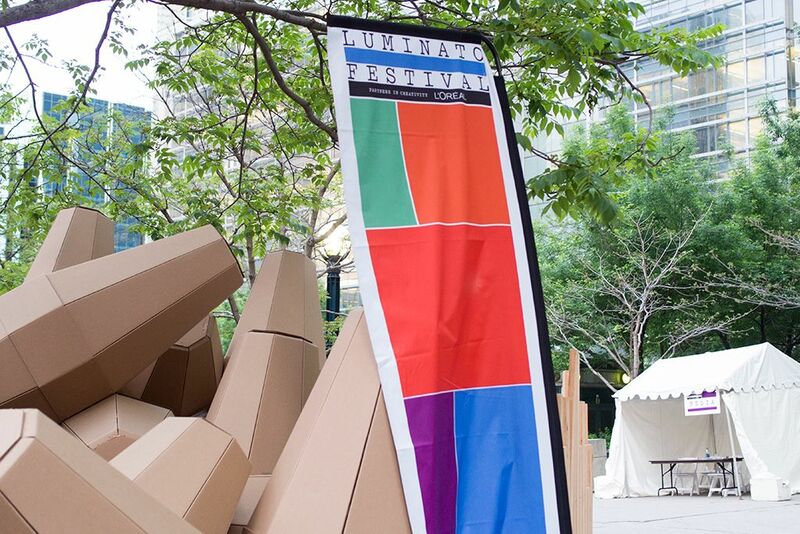 As the Partner of Creativity of Luminato, every year L'Oréal Canada will have different activation around town for event goers.